Order forms are being filled by costumers at the time of ordering goods and/or services. An order form clearly mentions the customer requirements in terms of number of units ordered, date, etc;Often the service providers break their heads to come up with an Order Templates form that suits their needs. 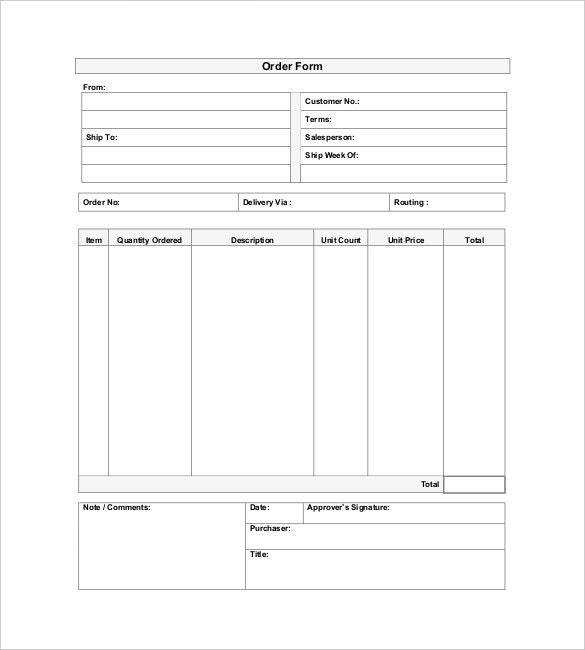 Blank Order Form Templates are helpful when your business is nascent and cannot fit into regular business. 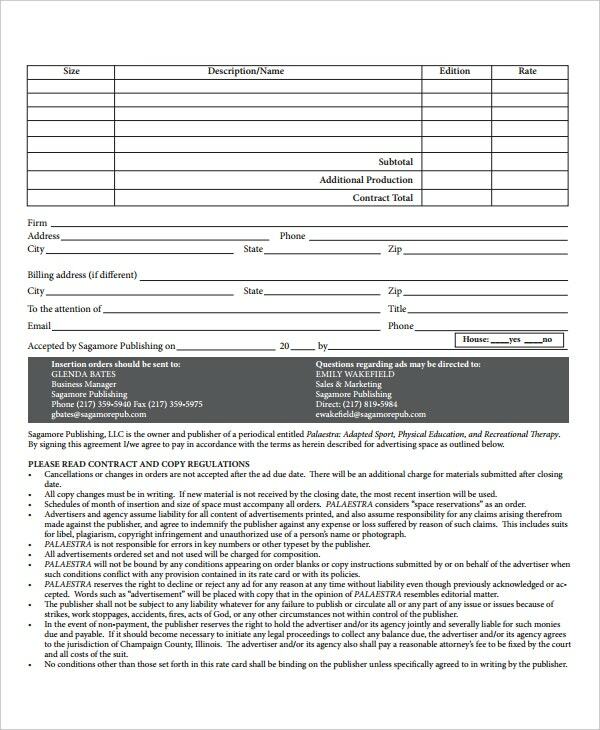 Our Blank Order Form Templates allows you to draw your desired format which suits best for your business. Because nobody knows that better than you. You can even add imagery and flash to your templates. 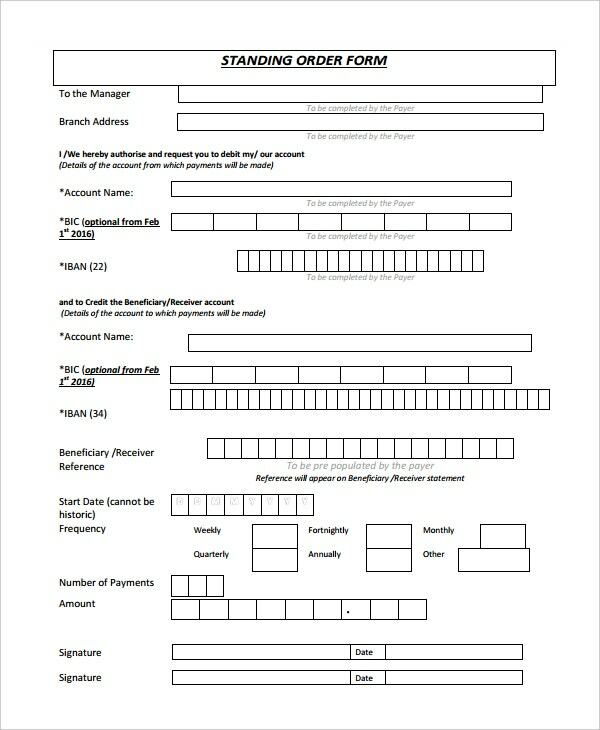 Standing Order or standing instructions Form Templates gives the banks or any other financial institute an authority to move ahead with the general transactions in case the customer is not present. This happens only when the financial institute officials took the information in the form of questions. 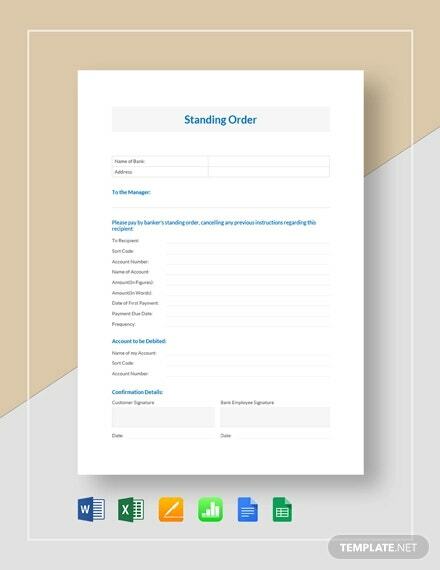 Our Standing Order Form Templates erases the need to dig around these questions. Delivery Order Templates zeroes the error rate in door-deliveries. They ensure that the good or service ordered has been delivered safely to the right address at the correct time. Our Delivery Order Templates are mutual beneficiaries. Download them and print a bundle. Issue them along with the goods and get the signed copies from customers. The sales order is an acknowledgment document sent to the customer saying that his/her order for the particular good/service has been considered. 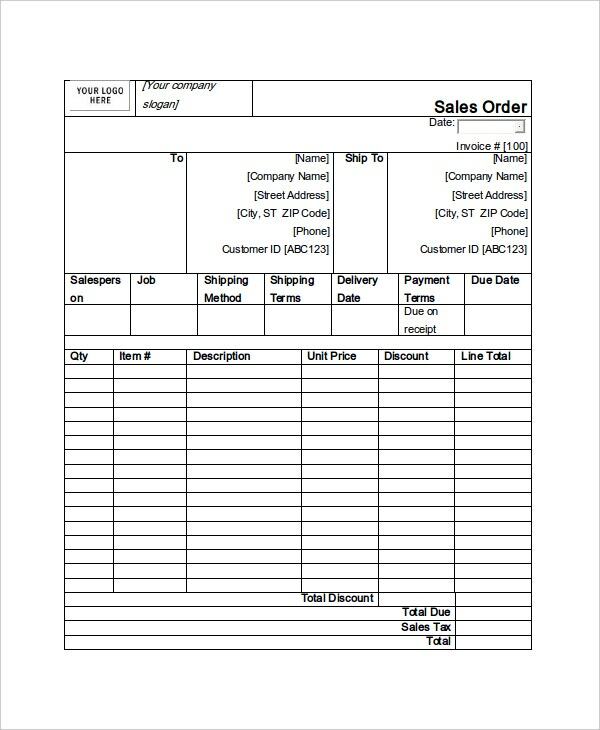 Sales order templates provide an easy look and feel document for the customers to fill. Our sales order templates are lighter than feathers with each detail including the due payment and possible delivery-date. Those who are into confectionery business can now set themselves free from worries related to the online order. 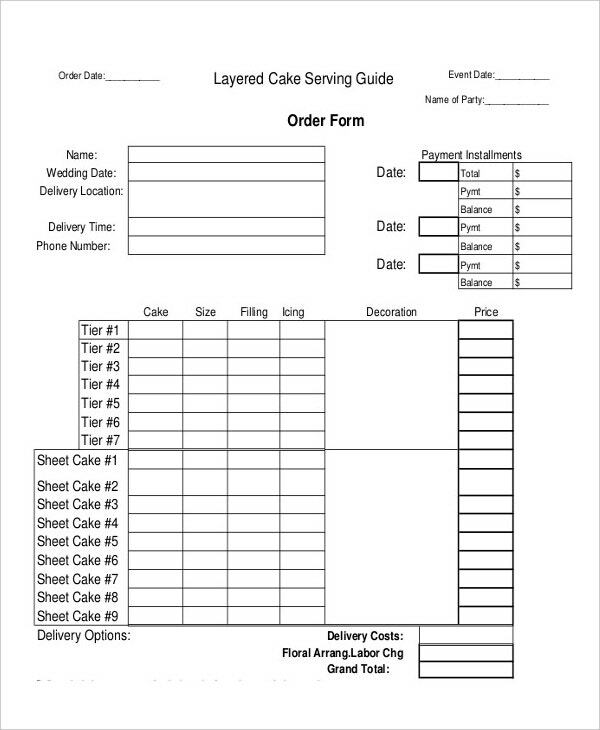 Our Bakery Order Templates resolve your online order needs with all the details such as name, contact number, order date, pickup date, cake items etc; You can trust these predefined Bakery Order Templates. The best part is you can promote your brand name along with the deliveries. Change Order reflects the change in the order of goods and/or services. This could be modification or deletion depends on upon the customer’s needs. 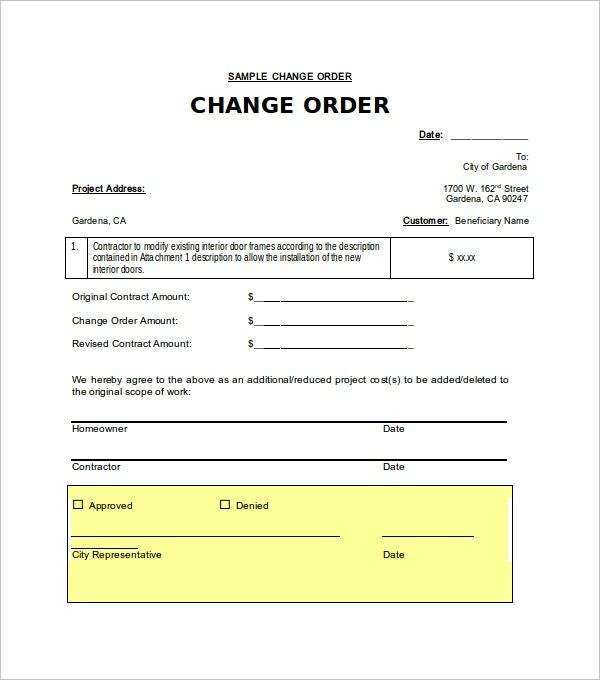 Our Change Order Templates allow the customers to change their order any given point in time. They are free and easily editable. Download from here and upload to your website. Email Order Templates assuage the customer’s worries about his/her online ordering of goods by providing them with a reference number to track further. Our Email Order Templates are heavenly great. You can integrate them with any mail service provider and the translator allows you to translate the templates in your desirable language, thus, these can be used anywhere in the world. 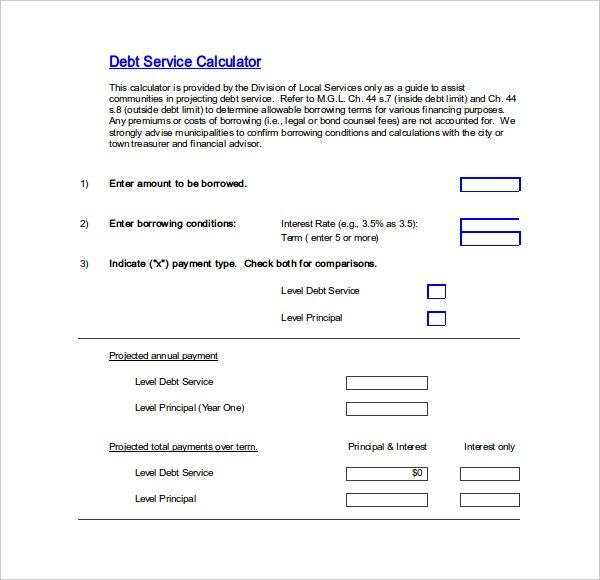 Insertion Order Template discusses the ‘WH’ of your marketing campaign, while filling your online and traditional print requirements. Our Insertion Order templates can be used for all your classifieds and calendar insertion orders. They vessels all your insertion order needs, if you want to sell ads on your newspaper. Also, they have a rich editing curve. Service orders record the details of a service agreed by a provider and a recipient. Service orders consist of all the details required to plan, implement, and to bill for a service. Our Service Order Templates helps you all the way from ideation to execution to a collection of money. It’s a Challenge. Are you launching your own event planning service? 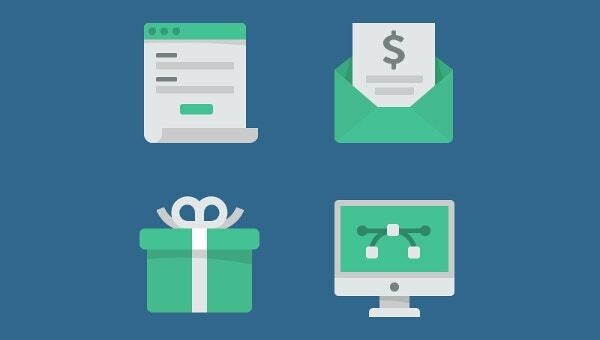 Our event order templates to accelerate your orders both online and offline. The beautifully designed checkboxes are easy to mark up and you can even integrate our event order templates into your website. It’s as easy as drag and drop. Construction order calculates the total contract value keeping in mind the addendums, documents available, and terms of the contract. You need not travel from pillar to post to get a Construction Order Template. Our Construction Order Templates are categorized as per the construction phase. They even provide you quick links to various sources. 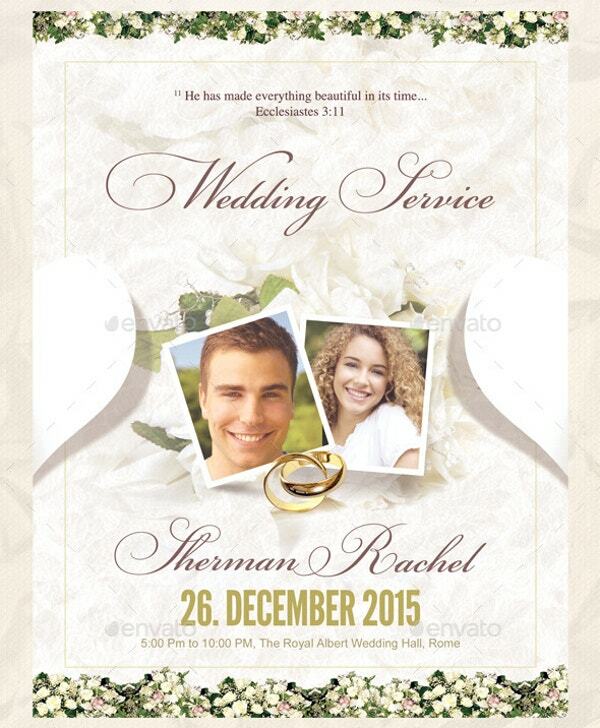 Wedding Order of service is generally handed out to the attendees upon their arrival by the ushers. Do you want your wedding a memorable moment? Our Wedding Order Templates are adorn with all your wedding must-haves. If you feel this as excessive, simply get the flex printing of the template. Are you into a non-governmental side such as environmental management and greenhouse effect? 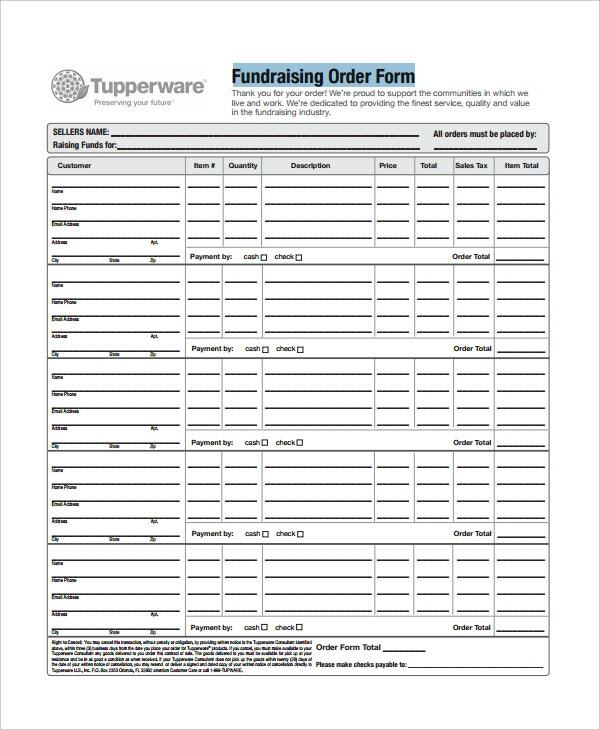 Then our fundraiser order templates are the finely flavored and conformed documents available in free and premium categories. They are available in all currencies. Even if not, you can modify them upon the downloading. Also, our print-ready fundraiser order templates are easy to carry while fundraising for charity or for-a-cause events. 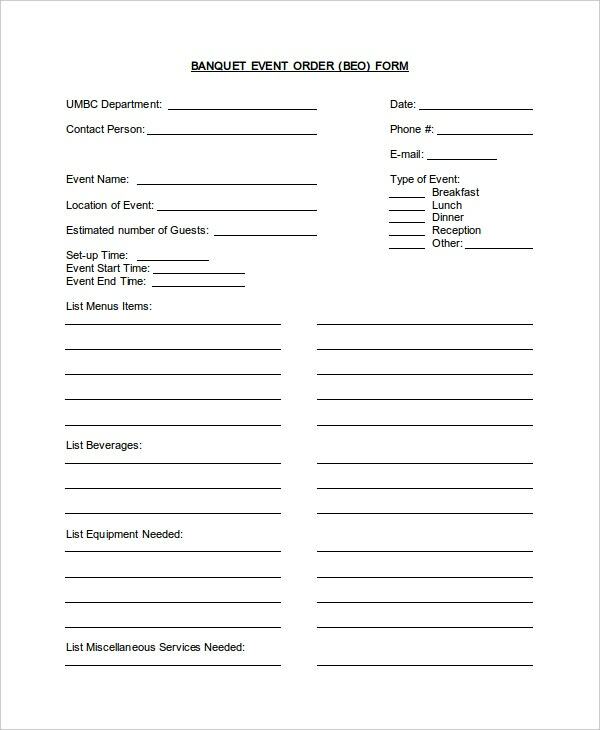 Work Order templates often called as service ticket, work ticket, job ticket, and/or job order. 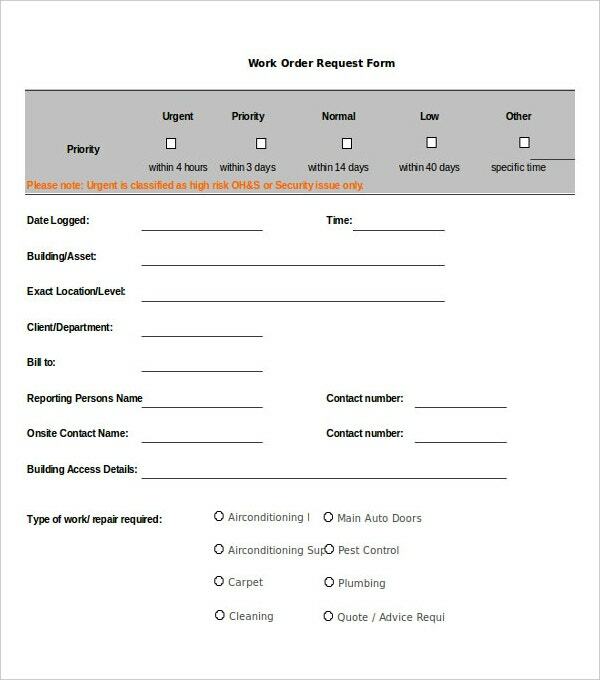 Our work order templates are highly simple useable and reusable documents. You can use them for your job orders, repair orders, and many other postings. Download to view, edit, and apply the below samples. Free job. The E-commerce boom brings the new wings to the order templates. Though they were there even before the online outrage makes the order forms ubiquitous. Order Templates, in most cases, acknowledges the customer’s request and reply back with either a reference number or a verification number. However, you need not request an order for these order templates. Many websites are offering them and they are available on a free basis. 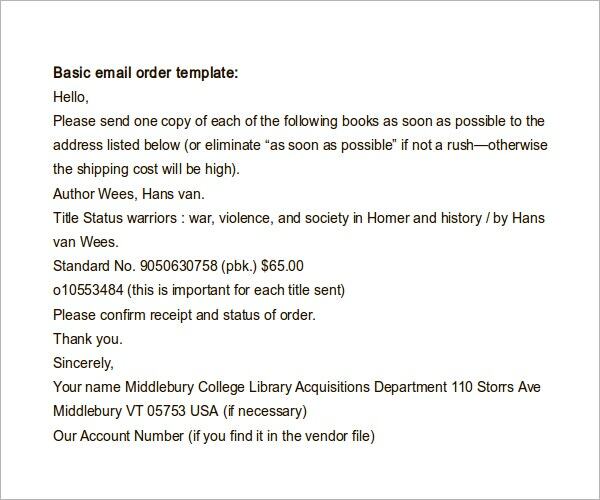 see this Order Confirmation Template. Make sure which order form you are gonna make. Check whether there are any sub-categories. See that your order template is practicable or not in terms of the simplicity and accuracy. Don’t underestimate the technicalities. Your form should be easily integrable. 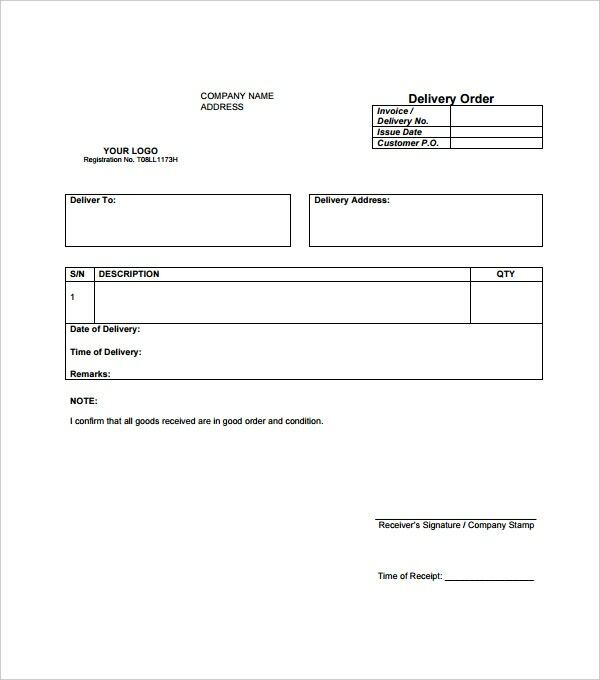 Make sure that your order form consists of all your details, like mobile number, mail id, physical address etc; See this Purchase Order Templates. Order Templates help customers cooling their heels down with a great sigh. They give confident to the customers about their online orders. Also, they educate the customership about the due amount and the exact (or) possible delivery date etc; They even provide the buyer details, in case if the user has any queries to contact. 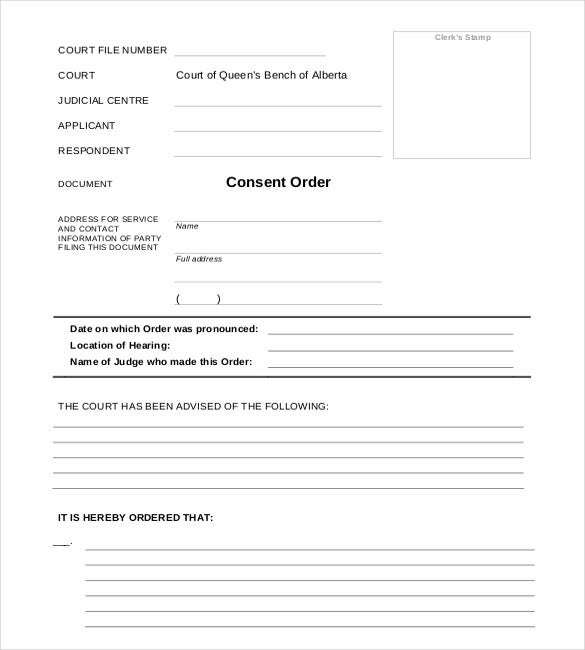 You can also see Order Form Template.